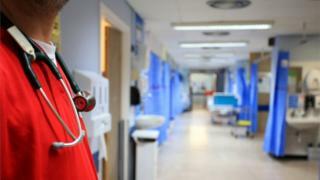 Deaths after surgery in Scotland have dropped by more than a third, research suggests. A study indicated a 37% decrease since 2008, which it attributed to the implementation of a safety checklist. The 19-item list - which was created by the World Health Organization - is supposed to encourage teamwork and communication during operations. The death rate fell to 0.46 per 100 procedures between 2000 and 2014, analysis of 6.8m operations showed. Dr Atul Gawande, who introduced the checklist and co-authored the study, published in the British Journal of Surgery, said: "Scotland's health system is to be congratulated for a multi-year effort that has produced some of the largest population-wide reductions in surgical deaths ever documented." Prof Jason Leitch, NHS Scotland's national clinical director, added: "This is a significant study which highlights the reduction in surgical mortality over the last decade. "While there are a number of factors that have contributed to this, it is clear from the research that the introduction of the WHO Surgical Safety Checklist in 2008 has played a key role."